Dubai, long champion of all things biggest, longest and most expensive, will soon have some competition from neighboring Saudi Arabia. Dubai's iconic Burj Khalifa, the world's tallest building, could be stripped of its Guinness title if Saudi Arabia succeeds in its plans to construct the even larger Kingdom Tower in Jeddah -- a prospect looking more likely as work begins next week, according to Construction Weekly. Wind load is another issue for buildings of this magnitude. To counter this challenge, the tower will change shape regularly. "Because it changes shape every few floors, the wind loads go round the building and won't be as extreme as on a really solid block," Gordon Gill explained to Construction Weekly. Gill is a partner at Adrian Smith + Gordon Gill Architecture, the design architects for the project. Delivering the concrete to higher floors will also be a challenge. 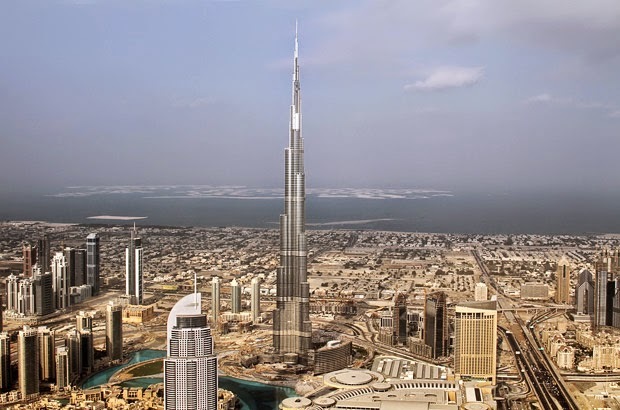 Possibly, engineers could use similar methods to those employed when building the Burj Khalifa; 6 million cubic feet of concrete was pushed through a single pump, usually at night when temperatures were low enough to ensure that it would set. Though ambitious, building the Kingdom Tower should be feasible, according to Sang Dae Kim, the director of the Council on Tall Buildings. "At this point in time we can build a tower that is one kilometer, maybe two kilometers. Any higher than that and we will have to do a lot of homework," he told Construction Weekly.